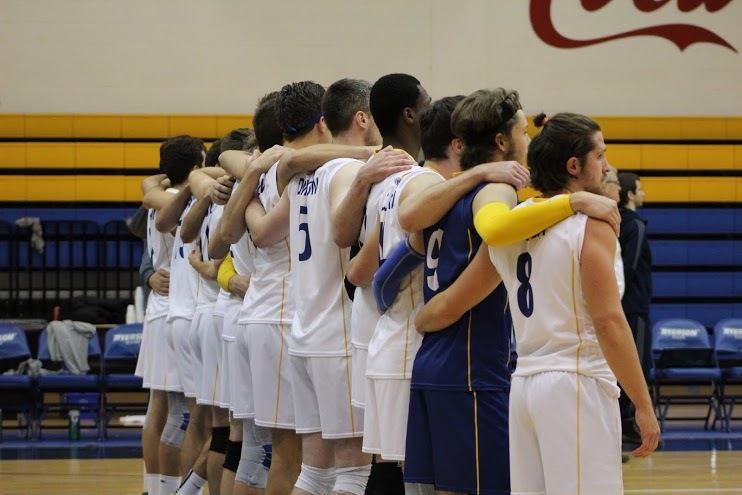 The Ryerson men’s volleyball team (13-4) returned home after five games on the road to start 2015 and quickly dismantled the Nipissing Lakers (4-13) in straight sets (25-16, 26-24, 25-16). 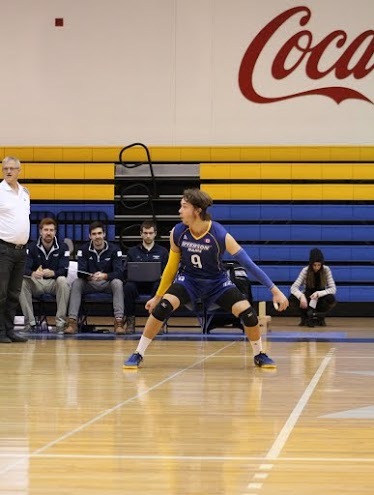 The Rams currently sit second in the Ontario University Athletics standings and showed the home crowd why, opening the match with a 10 point run. 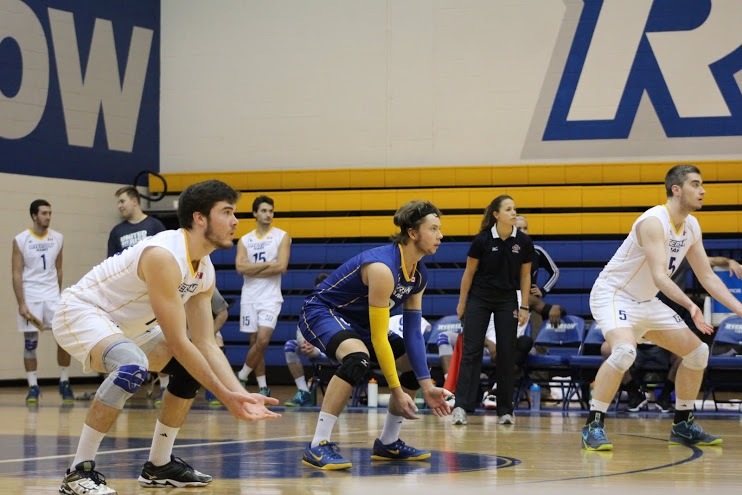 The team ran a balanced offence with kills coming from Lucas Coleman, Robert Wojcik and Marc Reardon on almost every play. The team kept the 10 point spread for most of the set and easily took it 25-16. The second set was almost a mirror of the first. Nipissing grabbed a quick 5-2 lead and both teams traded errors for most of the play. Neither team could set up clean, three hit kills. Instead both sides were serving it out or missing their blocks on almost every play. 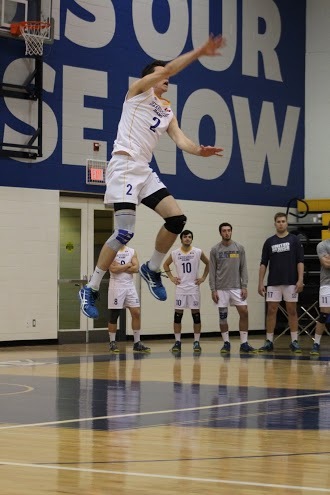 Nipissing led the entire set until Ryerson was able to claw back and tie it 22-22 when Coleman powered a kill past the Lakers blockers. 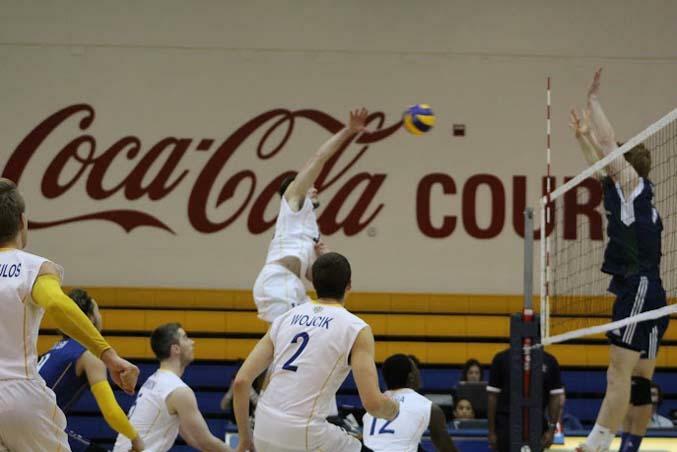 Ryerson took its first lead at 24-23 and eventually won the set 26-24. The third set saw Ryerson return to the comfort of the first one. While they never had a 10-point lead this time, the team did return to its strong hitting and blocking game that was missing in the second. They won the set 25-16 on a return from Nipissing that went long. 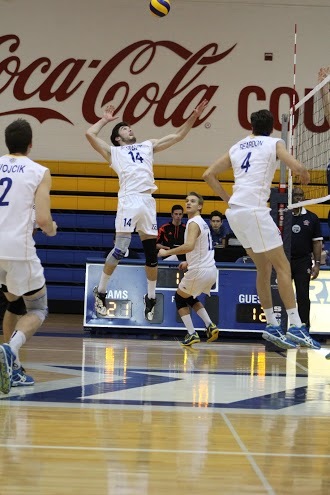 Wojcik led the way with 13 kills in the match while Coleman added another 11. Libero Will Otten was strong defensively, leading the team with seven digs. The team will be back in action on Saturday, Jan. 31 when they host the York Lions at 8 p.m.